However, organic materials such as food waste can become valuable resources for renewable bioproducts that don’t use land that otherwise might be used for food production. Although for centuries many methods have been used to convert bioresources to bioproducts, interest and investment in bioproduct technologies have increased in recent years as environmental and energy security concerns have grown. For example, in the Finger Lakes region of New York State, there is a strong dairy industry. Large dairy farms in this region are beginning to use anaerobic digestion for dairy manure treatment. Anaerobic digestion (AD) is a series of bacterial processes in which organic matter is degraded in an environment without oxygen. The process, similar to the process that occurs inside a cow’s stomach, results in biogas. Anaerobic digestion is useful to farmers as a way to manage odor and the nutrient loading on their soil resulting from applying manure as fertilizer on fields. However, finding information about food processing, cafeteria, or other sources of food waste is not easy. The Organic Resource Locator (ORL) is addressing this problem. 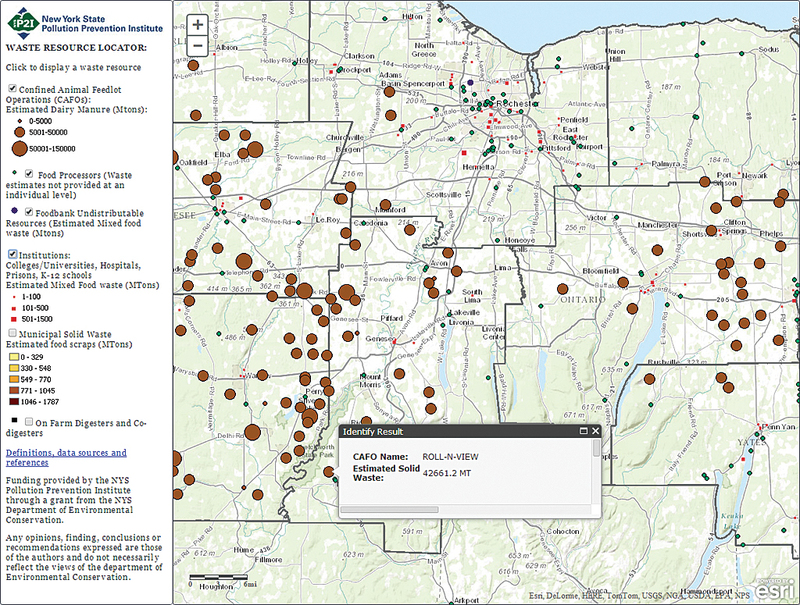 Under development by the Rochester Institute of Technology (RIT) and the New York State Pollution Prevention Institute (NYP2I) housed at RIT, ORL uses Esri technology. Funding for the ORL has been made possible by New York’s Department of Environmental Conservation (NYDEC). 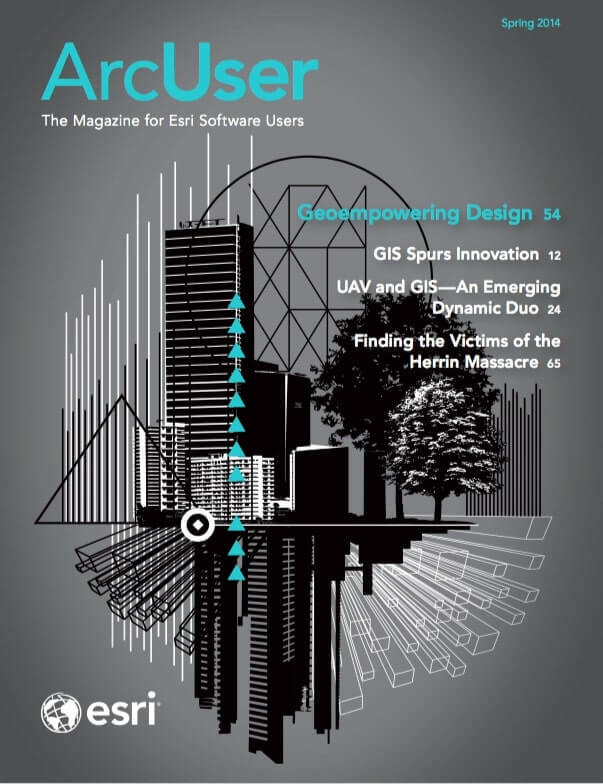 ORL utilizes customizable ArcGIS for Server-based web applications that allow every aspect of the application to be controlled—from basemap selection to cartographic design—and the incorporation of advanced spatial analytic tools. The extensive library of web-based geospatial tools and sample code for many common functions available through Esri’s online support and user forums has made implementation of the ORL easier. Supporting facilities that specialize in anaerobic digestion of food waste supports the state of New York’s renewable energy portfolio and is aligned with the goals of the New York Power Authority (NYPA) and the New York State Renewable Energy Development Authority (NYSERDA). ORL has been used to support several projects to assist regional anaerobic digestion developers through the green technology development programs provided through the NYP2I. Data on available waste supplied by ORL helped developers with financial analysis and system sizing as well as informing anaerobic digestion system design and operating parameters. Learn more about reducing food waste at the US Environmental Protection Agency’s Food Recovery Challenge website. Braun, Rudolf, and Arthur Wellinger. (2010) Potential of Codigestion [PDF].